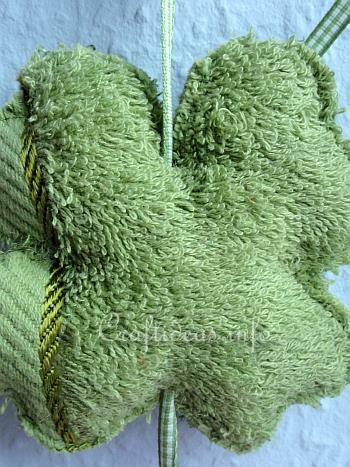 The texture of washcloths gives your projects and interesting look to them and were used to create this spring project. 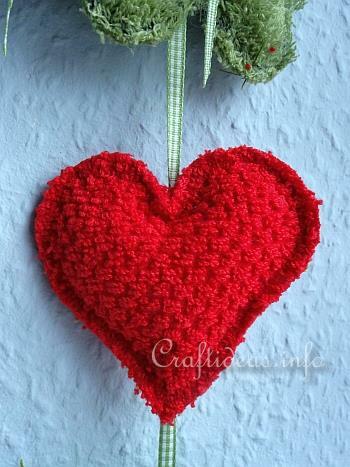 Ribbon and buttons are added to embellish to the decoration. 1. Double each of the washcloths and pin each washcloth to hold in place. When cutting, you will always cut through both layers of material simultaneously. 2. Then print out heart shape and shamrock shape. (for the shamrock, trace only around the outside shape and omit the stem). 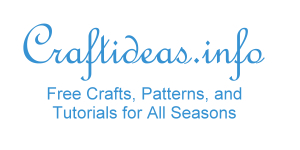 Create permanent templates with the shapes. 3. Trace the heart and shamrock shapes onto the appropriate colored washcloth using the disappearing ink pen. 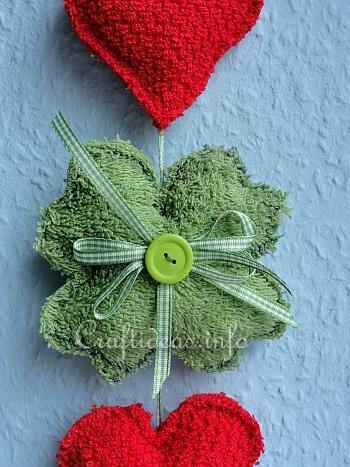 Cut 2 hearts and 3 shamrocks out with a seam allowance of about 7 mm or 1/4 inch. Sew each of the shapes together, leaving an opening on each one for stuffing. 4. Stuff the shapes as lightly or as firmly as you like and then sew the openings closed. 5. You can then trim down the seam allowance more, but be careful not to cut through the sewing line when doing so. 6. Now cut a length of ribbon (about 60 cm or so, depending on how long you want it to be and also how far the intervals between each of the shapes will be). Thread one end of the ribbon on the needle with the large eye and insert the needle in the back of the first shamrock shape and down towards the bottom of the shamrock. Come out again at the bottom of the shamrock. See picture below. Repeat for the heart which comes next. Continue alternating shapes until you have used up the remaining 2 shamrocks and heart. 7. At the bottom, thread the 3 beads onto the ribbon and then knot to prevent the beads from slipping off. 8. Create 3 green bows using the ribbon. 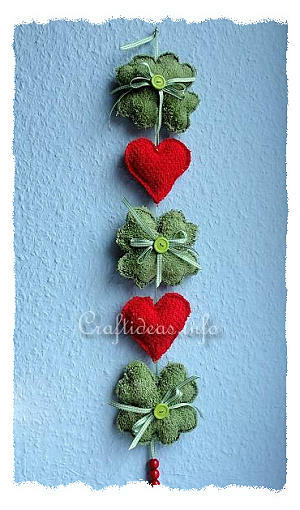 Sew these onto the shamrock with a botton. 9. 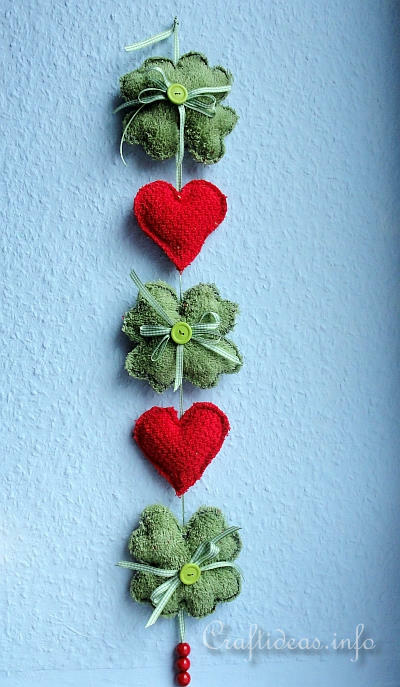 Create a loop above the top shamrock for hanging.